TF1 celebrates Gad Elmaleh’s 20 years on stage! Gad Elmaleh – 20 years on stage ! Through a series of sketches realised by his friends, Gad Elmaleh is paid a tribute for his 20 years on stage, a crazy preshow! All of this orchestrated by Christophe Dechavanne as an introduction for Gad’s show celebrating 20 years on stage. A radio animator at first on Radio 7 and France Inter, he became known to the public during the eighties hosting “C’est encore mieux l’après-midi” on Antenne 2. Recruited by the private channel TF1, he became one of the most popular hosts in France, thanks to the two talk-shows “Ciel, mon mardi!” And “Coucou c’est nous!” In 1989, he created the production company Coyote which produced programmes and TV films for TF1. After the failure of his new programme “Tout le toutim”, he joined the public service and hosted more frequently special evening programmes. During the years 2000, Dechavanne returned to the radio on RTL and Europe 1. He came back to the first channel and rebooted his TV career presenting reality shows like “La Ferme Célébrités”; and TV game shows like “La Roue de la Fortune” which he then abandoned in 2011. On radio, he co-hosted from June to July 2011 the game “La Bonne Touche” on RTL with Jean-Pierre Foucault, following the departure of Cyril Hanouna. 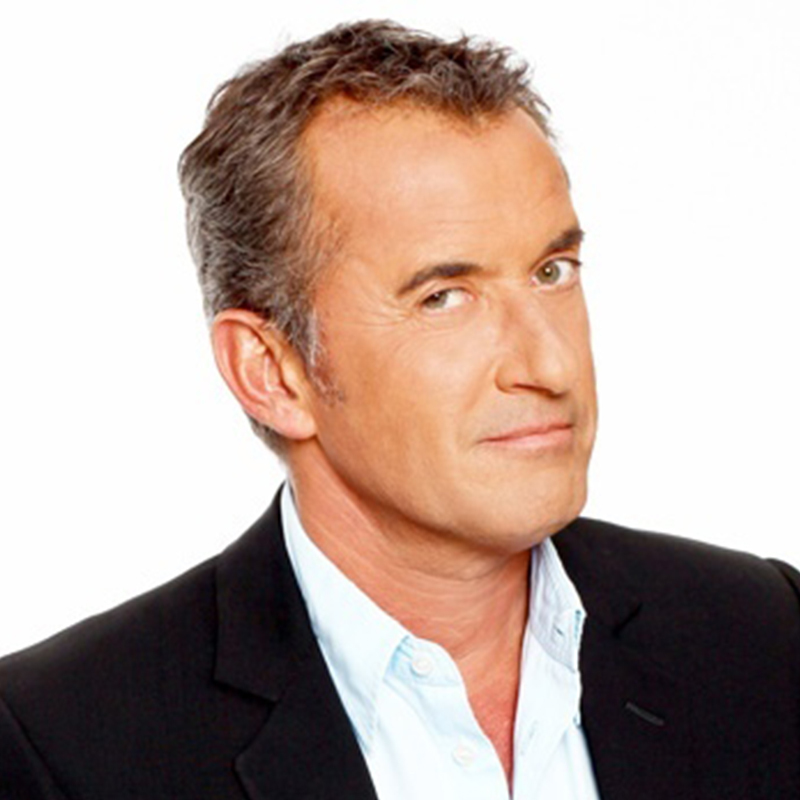 In 2013, he hosted the game “Une famille en Or” on TF1 and “Drôles d’animaux” on TMC. On February 6th, 2015, he cohosts with Gilles Bouleau an event prime time for the 40th anniversary of TF1. It’s a show essentially composed by archives. The show is called “TF1, 40 years of shared emotions”. On March 6th 2015, the animator directed a new game called “Les Extra-ordinaires” (programme adapted from “The Brain”) broadcast on prime time and produced by Endemol. In this show, several candidates compete on particularly difficult tests, some mental, others physical. Throughout the evening, each candidate competes according to his or her specialty. Miss France 2013, Marine Lorphelin, Eric Antoine, Laurent Ournac and Caroline Vigneaux are some of the contestants. The same year, he announced he was working on a new talk-show for TF1, produced by Coyote. In February 2015, he confirmed: “It will be during the second part of the evening, on a weekly basis, with news, unwinding and some insolence; in other words, something that looks like me. (…) I will be surrounded with colourful partners in crime: right wing, left wing, funny, less funny, intellectuals or not”. Gad Elmaleh didn’t want to leave like this. For his last show on the Palais Des sports, the party had to be exceptional. Before the beginning of the show, Christophe Dechavanne first appeared in the middle of the audience, to record in the hall, what would become the introduction of a special show dedicated to Gad Elmaleh soon to be broadcast for TF1. A little later, he was on the programme “Confessions Intimes” now broadcast on NT1, where “There’s always a guy that thinks he is Johnny”. But a few minutes later, during the recall, as he is introducing his musicians, it’s the real Johnny who appears on stage. The singer joined the comedian to teach him his rock and roll sway, inspired by Elvis Presley. 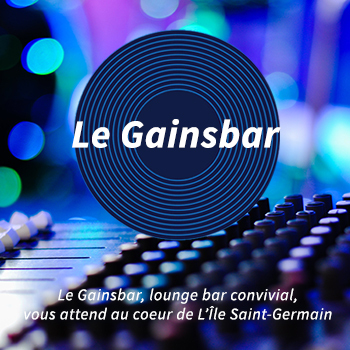 It is an opportunity for a few great exchanges, and more importantly an explosive duo between gad Elmaleh and Johnny Halliday on “La Musique que j’aime”, facing an ecstatic audience, standing up, and the complicity of Yarol Poupaud, the rocker’s guitarist who is presently a juror of the show “Nouvelle Star”. The comedian is more and more a singer in his show, where he performs a remake of “New-York, New-York”, “Oh Happy Day”, with the surprise appearance of mind blowing Claudia Tagbo on Saturday night at the Palais des Sports, as well as his own hit “Petit Oiseau”. When will he record a real album and give real concerts?